For years, trappers and hunters had returned from trips to the south and southwest bearing stories of the untouched natural beauty that lay in the vast regions beyond the coastal settlements. Adventurous souls were driven by the prospects of owning a piece of land and of having the freedom to do as they pleased. The desire for independence was something ingrained in the mind and spirit of those whose ancestors had braved the Atlantic for the New World. It was the driving force of those who came to the back country and settled in "The Hollows" at the foot of the Blue Ridge Mountains. Their desire for independence transcended generations and was translated into a "live and let live" philosophy still practiced here today. 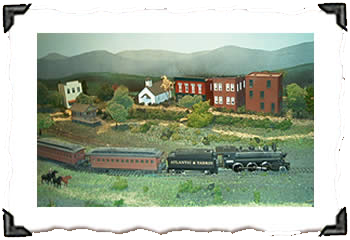 For many years there has been a fascination with the history and tradition of this back country region at the foot of the Blue Ridge Mountains. Accounts of the beauty of the area and the unique culture of the people have been recorded in diaries, letters, and books for more than 150 years. So the development of a museum to collect, preserve, and interpret the natural, historic and artistic heritage of this region was inevitable. Your visit will be a memorable occasion.